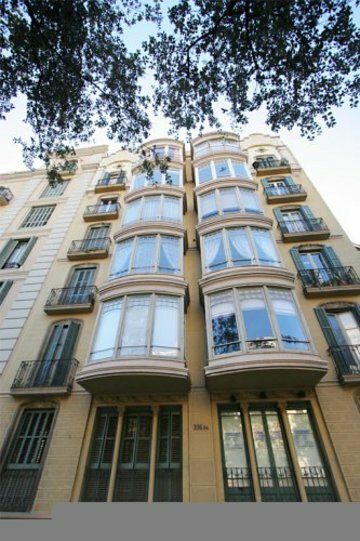 Hostal Felipe 2 is located in a Modernista building just off Diagonal Avenue, less than 5 minutes’ walk from Verdaguer Metro Station. This guest house offers free Wi-Fi in all areas. The Felipe’s rooms have a TV and either a private, or shared bathroom. All rooms are bright and have wooden flooring. The majority of the rooms have air conditioning and heating, and some have a balcony. Bed linen and towels are included. The property has an area with computers which are available in the afternoon. You can also leave your luggage at reception, and safes are available. There is a selection of restaurants and shops in the streets surrounding the Felipe 2. The famous Sagrada Familia is just a 10-minute walk away, while Passeig de Gràcia Boulevard and Gaudí’s La Pedrera are less than 1 km from the apartments. Plaza de Catalunya and Las Ramblas can be reached in 20 minutes by Metro, while Sants Railway Station and Nord Bus Station are less than 3 km away.